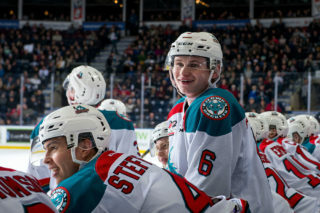 The Kelowna Rockets have acquired 16-year-old forward Mark Liwiski from the Everett Silvertips in exchange for a third round pick in the 2019 WHL Bantam Draft. Liwiski, a native of Dauphin, MB. was a third round, 58th overall draft choice in the 2016 WHL Bantam Draft by the Silvertips. 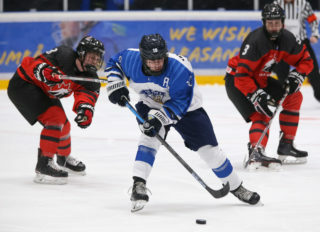 During the 2017-2018 season the 5’11, 190lb forward played in 10 games for Everett registering nine penalty minutes before playing 36 games for the OCN Blizzard of the MJHL. He scored 14 goals and added 11 assists for 25 points as well as 96 penalty minutes. 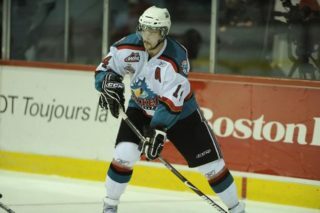 He also notched two goals and an assist in six post season games. 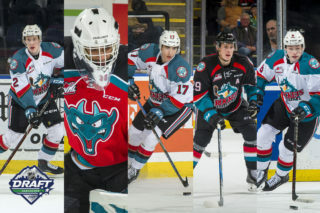 The Rockets send a third round draft choice in the 2019 WHL Bantam Draft to Everett in exchange for Liwiski. 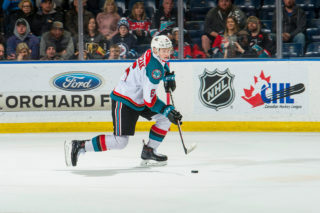 Kelowna will also receive a conditional 5th round pick in 2019 if Liwiski isn’t on a WHL roster after January 10th, 2019.